We have no details, but we do know that Vinnie Paul of Pantera, Damageplan and HellYeah is gone. He has joined his brother Dimebag Darrell (1966-2004) in the Great Band in the Sky. To say the metal world is in shock is an understatement. HellYeah began recording a new album late last year. Vinnie had shown no signs of slowing down. He has always just carried on. Rest in peace Vinnie Paul Abbott, who inspired a new generation of metalheads to “Walk”. I’m addicted to buying these deluxe editions. And I have more Sabbath coming soon, too! 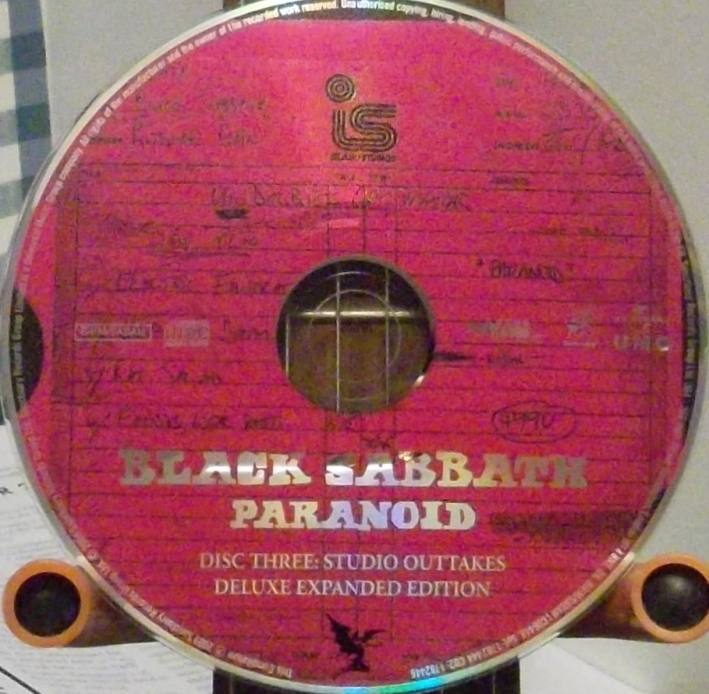 Check out more of my Sabbath deluxe reviews by clicking here! Wow, how many times have I bought Paranoid now? I would guess that this might be my sixth purchase of this album. I mean…it’s Paranoid. And what is Paranoid? Only one of the most important rock albums of all time. Regardless of the genre it helped spawn, this album is more important than just being a heavy metal album. This is an important rock album. I highly doubt any died-in-the-wool metal fan has not heard this album, but in case you’re young/been living on the moon, I’m happy to discuss these incredible tracks. First up to bat is the unmistakable sludge of “War Pigs”. 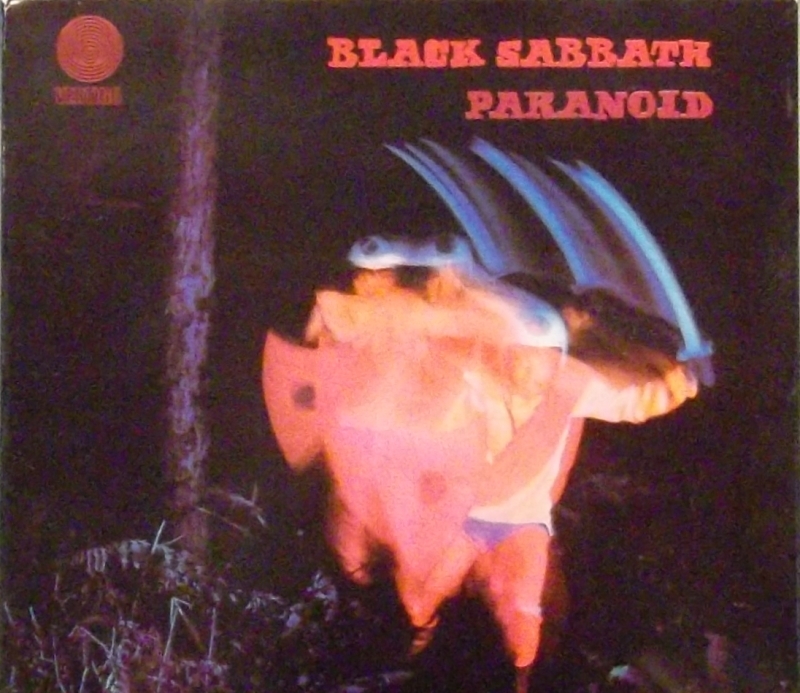 “Generals gathered in their masses…just like witches at black masses…” Bonus point to lyricist Geezer Butler for rhyming “masses” with “masses”! Joking aside, this is simply an incredible song, one which history has proven (as great as Dio was) that only Ozzy Osbourne can sing correctly. Then, the brief punk rock explosion of “Paranoid”. This was the first and only song I learned to play on guitar, simple are the chords. But it is no less powerful for its simplicity! The haunting “Planet Caravan” is a perfect example of Sabbath at their softest and darkest. Ozzy’s distorted vocals send chills up the spine, while Geezer’s bass carries the melodic side. I didn’t like this song as a kid (I hated the soft ones) but I sure grew to appreciate it since. Iommi’s jazzy solo proves what an incredible player the man was and is. In case you were falling asleep, Black Sabbath wake you up with the next track, “Iron Man”. Everyone knows “Iron Man”, a monolithic slab of prototypical heavy metal! “Electric Funeral” opens with Iommi’s Gibson puking wah-wah and distortion from the speakers, but like many Sabbath songs of the period, the track takes a careening turn into a fast section, before returning to its sludgy roots. Bill Ward, one of the most underrated drummers ever, plays creatively throughout, his use of cymbals and fills endlessly interesting. “Hand Of Doom” is another one with different sections and tempos, and more of Ward’s jaw-dropping creativity on the tubs. Ozzy howls like a banshee, the band behind him providing a heavy, frightening backdrop. “Rat Salad” is a personal favourite, the album instrumental, and really a Bill Ward showcase. You want to hear what Bill Ward could do? This is the track to listen to, although Iommi is not to be underestimated. His howling Gibson sends shivers up the spine. 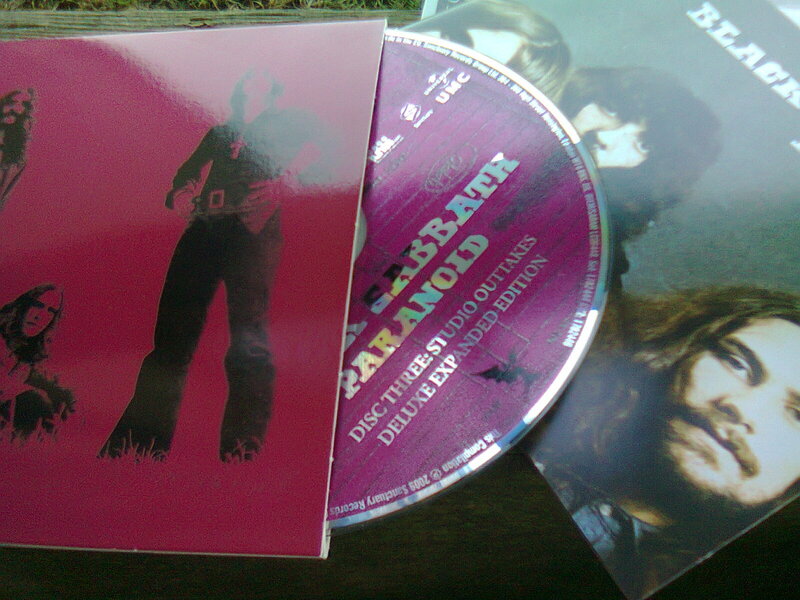 “Fairies Wear Boots” closes the CD, the perfect mixture of riffage and melody. All the while, Geezer and Ward continue to provide a rhythm section as interesting as the guitars and vocals. Once again, Sabbath show their compositional prowess by creating a catchy, riffy heavy metal song with interesting sections and changes. It is another perfect track, on an album of nothing but. Liner notes and photos: A+. Awesome job. Lots of cool photos, facts, and figures that I was not previously aware of. Packaging: C-. I have a 2CD/1DVD Clash set from this series where all three discs are packaged with a plastic tray to hold them in. Not so with Paranoid! Cost cutting may be the reason, but disc 3 slides into a cardboard sleeve while the other two discs have plastic trays. Remastering: A+. My understanding is that this is a brand new remastering. That would be remastering #3 for Paranoid. (1996 Castle remasters, Black Box remasters.) Like the Black Box version, this sounds great, very clear, very powerful, very authentic. Can you tell the difference between this version and the Black Box version? Not really! Bonus material: B+. Maybe it’s not anybody’s fault, but the bonus material is somewhat disappointing Most are alternate takes with different lyrics or no lyrics at all. I guess that’s all that was available. Still, it’s not something I will listen to often. Including the DVD, keep in mind you’re going to be hearing these songs three times each! The alternate lyrics are interesting to say the least, but when you’re so used to hearing these songs a certain way, it is a little jarring. The DVD is an A. On this DVD, you get the original 1974 quad mix. Collectors rejoice, and people who are hoping for a 5.1 remix are going to have to keep waiting. I love the fact that we’re finally getting reissues of classic 1970’s quad mixes. Deep Purple have been releasing some as well. Personally I hope to hear some of the old Alice Cooper quad mixes some day, too. Not a perfect reissue, but it is what it is. The packaging is the one thing that could have been improved easily. The extra material, well, if this is all Sabbath have in the vaults, then so be it!